Sunday mornings were made for hanging out at MAC and seeing what babies get up to when it’s bedtime. Suitable for ages 2-5 (and not forgetting the grownups too) we settled down to watch Dad and Baby as they get ready for bed. 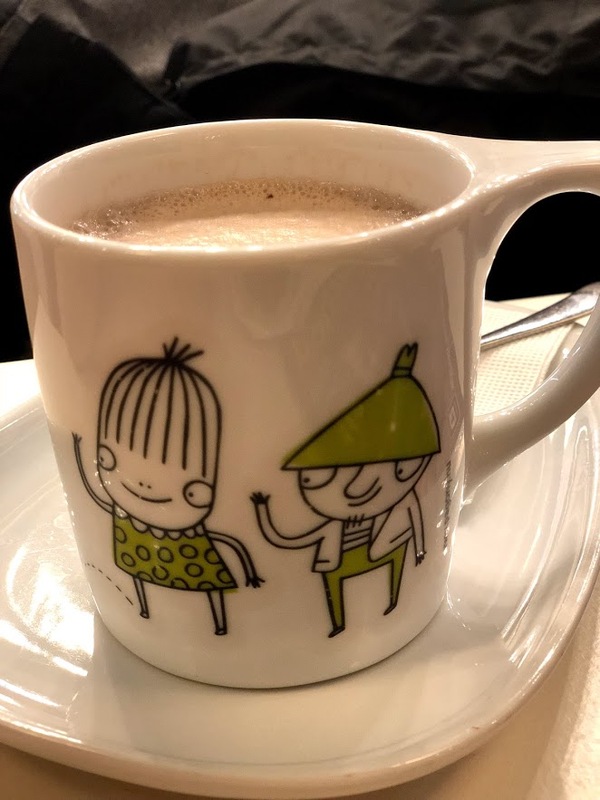 As us grownups know, it is not often that bedtime is smooth sailing and the next 40 minutes we see Baby have the most wonderful time causing mischief and having all the fun. When a studio full of kids are belly laughing away at the silliness of Baby and a Rabbit with a suspicious French accent, you know everyone has been brought into the magic of the moment. I won’t tell you too much more as I want you to experience the delightful silliness for yourselves. 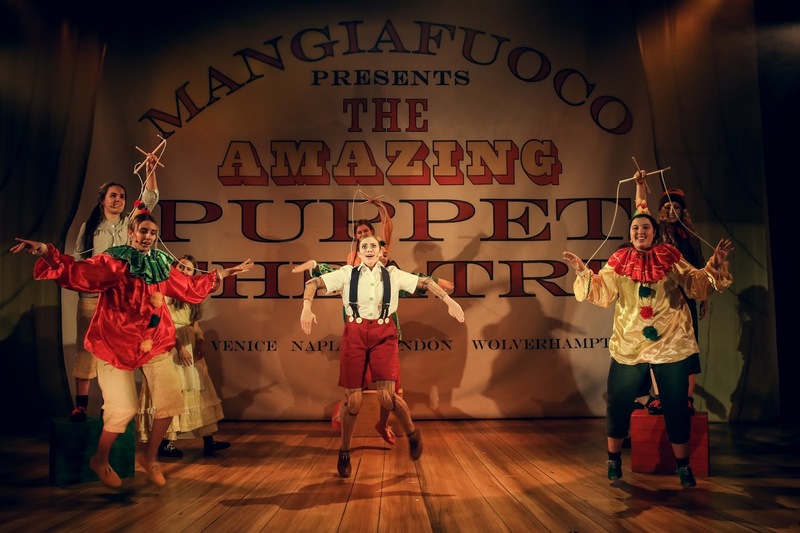 What better way to kick off the festive season than heading to The Old Rep on a Saturday afternoon to watch this year’s seasonal offering of Pinocchio. My date for the afternoon (the kid) and I took our seats and from the second the house lights dimmed and the stage lit up, my son was whisked away on a journey of the little boy who just wanted to be good. My memory of this particular tale is based around the Disney classic; the story of the Toy Maker who desperately wanted a son, and so created a puppet that came to life. Along Pinnochio's journey, familiar faces appeared alongside the Blue Fairy (in place of a cricket) offered up plenty of moral guidance and entertainment along the way. A familiar tale with a musical spin on it’s telling, Pinnochio is a great way to get into the season of Good Will. Along with a fab production and leading roles the supporting cast is made up with local students from Birmingham Ormiston Academy having their opportunity to tread the boards in their own fair city. 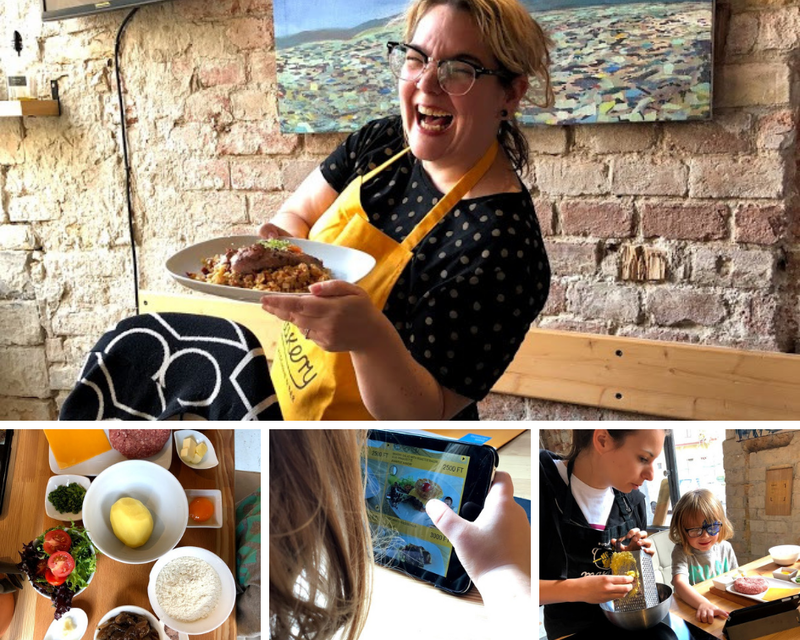 We were invited along to the press launch in exchange for our honest review. As ever our opinions (mine and the 4-year-olds) are our own. After having a small person in our lives for 4 years, it was about time we went on our first overseas trip. We settled on Budapest as it was affordable and we are not really beach people! Before we even hit the skies we made sure we had the tech to take with us. Going abroad I was worried about rinsing my data allowance for all the 'Gram, but we didn't need to worry as Three mobile* set us up with All you Can Eat data and a very wonderful iPhone X to take on our adventures. With a flight time of just over 2 hours away via Ryanair (after an hours delay on the tarmac!) we arrived in Budapest and ready for some family adventures! So much happened on our trip that I want to split our review into 2. This is the long version! Arriving into Budapest late in the afternoon we jump into our pre-booked airport transfer (€25) and head straight into the centre of the city. 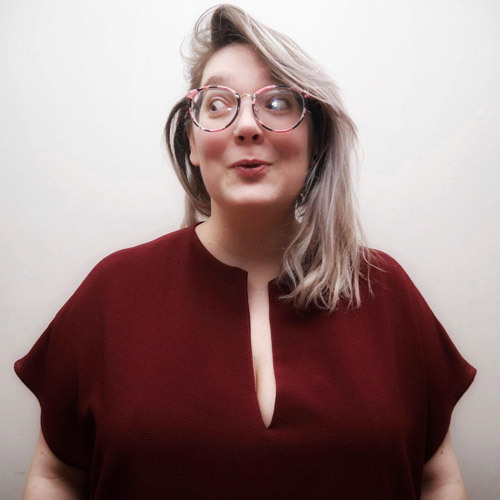 We booked a studio Apartment with Budapest Holidays Harmony Apartments and after a swift check-in and tour of our accommodation, we headed out to find food. 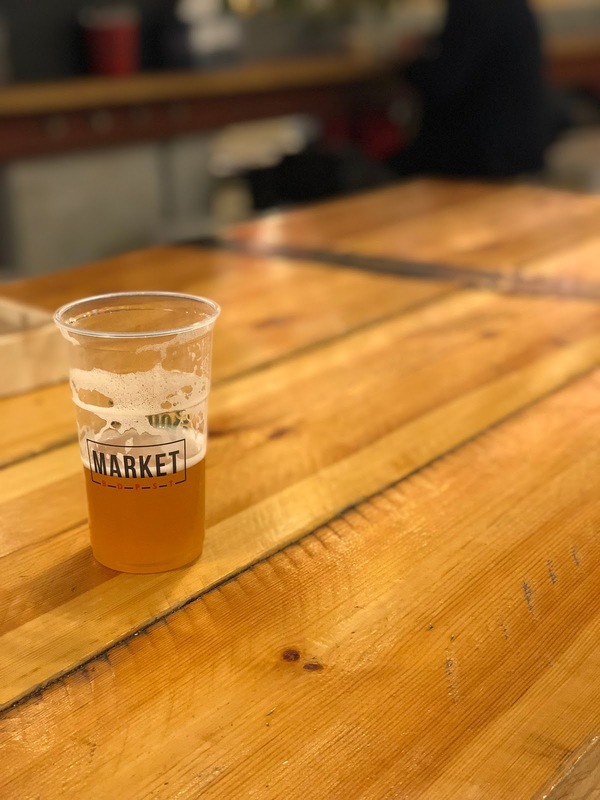 We quickly discovered that the city is easy to navigate and we settled on eating at Market BDPST; the boys wanted burgers (and I wanted a beer!). It was a great little spot to grab some food (burgers or Tacos are on the menu here) and for 3 burgers, fries and drinks we spent €17. Once our bellies were satisfied and the sun was setting we continued with our walk around and came across a pop-up park, which the boy took great pleasure in exploring and climbing. The end of our first few hours were upon us and so we began to head back. We grabbed some coffees and babycinos and popped into the Aldi next to our Apartment. I fell a little bit in love with Aldi. It is like they had a continental love child with Lidl and merged everything you love about each into one store! Back at the apartment we logged into the free wifi and watched Netflix while the kid passed out after a very long days travel. Breakfast was Aldi’s finest cereals and juice in order to save a few pennies. Once we were fed and clothed our first port of call was to head to Budapest Info to collect out Budapest Card**. These cards get you travel across the city and entrance into a large number of attractions (including the thermal baths). You can purchase them for a number of days and we were very fortunate to be gifted 72 hours of travel. 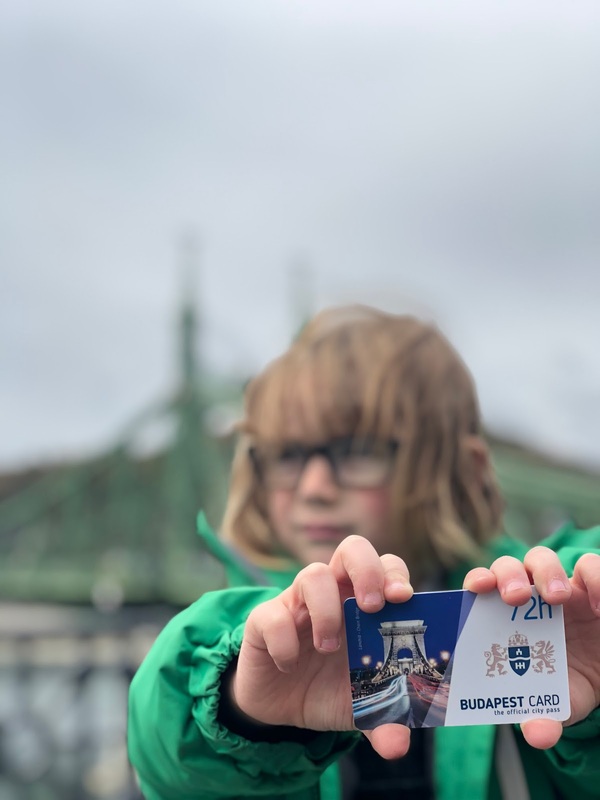 Our Budapest Card gave us the option of either the bus or golf buggy and 3 guesses which mode of transport the 4-year-old chose (what we didn’t realise was that the golf buggy went on the main roads)! 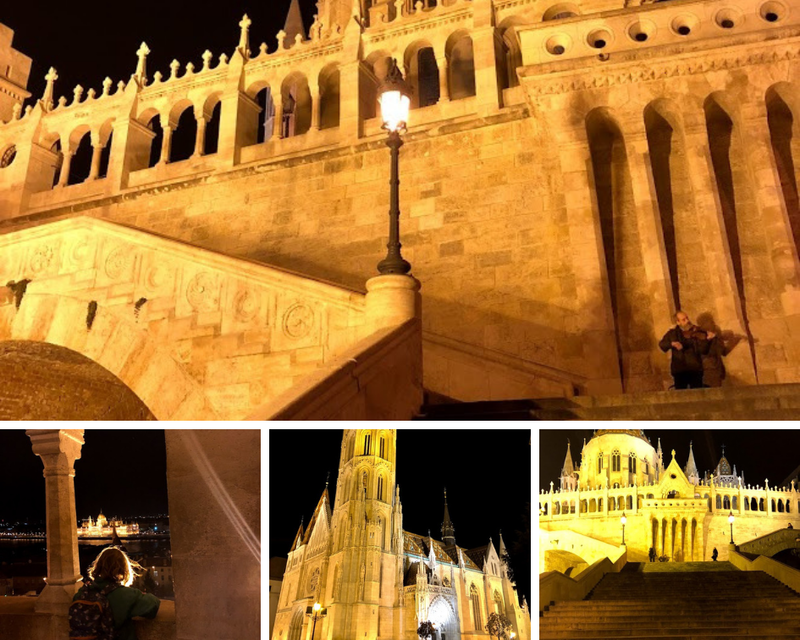 Once we had reached the top, we spent the day just walking around exploring Buda Castle, the Fisherman’s Bastion and the stunning church of St. Matthias. There was also a Frida Khalo exhibition on, but alas the child had zero interest in joining a rather long queue. Although we did witness the Horse Guard walking the grounds and also the Changing of the Guard which was quite different to our own. As the sun was setting you see how beautiful the Pest side of the city is and we planned to return the following day in the evening. We jumped on the bus back down to the bottom of Buda and walked down to the Liberty Bridge. As we were walking across, we noticed a large gathering of people who were all holding torches. We decided to hang around for a bit and see what was happening. The following day was a national holiday which marked the Hungarian Revolution and so there was a parade through the city. There was music, torches and a real sense of celebration and remembrance, and it was a wonderful thing to have witnessed. Food for the day consisted of a lunchtime snack of Lángos which is a deep-fried dough with sour cream and cheese: totally delicious, rather plentiful and a bargain of €5 along with the worlds largest bag of Hungarian Wotsits. For our evening meal, we stumbled across a lovely restaurant run by a group of friends (and we didn’t note the name and it doesn’t exist on Google!). We dined on Goulash, Paprika Chicken with butter noodles and Strudel for the princely sum of €10 each. Proper home-made comfort food and just want was needed after a day of walking and exploring. A slow start and after breakfast, we fell into the SuWu coffee. The one thing we hadn’t yet found was a decent coffee shop and this was a winner for us. With a V60, hot chocolates and babychinos all round we were fuelled to continue our exploring. We headed down to the Jewish Quarter to roam the streets some more. What we didn’t expect to stumble upon was a beautiful city park where the kids could roam free and even the dogs had their own park. The kid ran free for nearly an hour and then it was time to head to Budapest Makery*** for a lunchtime experience. Budapest Makery is a restaurant like no other. In fact; I’d call it an experience rather than a restaurant. You select your meal and then they bring out a tray with your ingredients chopped and ready to cook (some raw some par-cooked to save time) then you fire up the tablet and follow each step to cook your meal. Every table was full and the vibe as fantastic, everyone enjoying the hilarity of people not following instructions and helping each other out along the way. Our bellies full we headed over to the New York Palace for a sweet treat as a reward for our cooking. This is listed as a Must See when in the city so I assumed we would be wowed. Everyone I spoke to had raved about the cakes and hot chocolates. They were ok. At €8 a drink and €12 for a slice of cake we decided to have a drink only and seek pudding later on. There is no mistaking the beauty of the hotel, but it felt like we were just on a conveyor belt of tourists and the price did not reflect the experience or service. Personal advice: pop your head in to see the architecture and then go and grab a cake down in the Jewish quarter. Back to the apartment for an afternoon nap, because on our last night we wanted to go back up to the Castle to experience it by night. We decided we were all hungry again (and cold!) and as we walked further away from the main strip we found a little hotel that was still serving food (late night dining is widely available on the Pest side of the city, but a little harder to find up in the castle hills). The Balthazar Boutique Hotel was a great little find, a family run boutique hotel with a simple menu that met all of our needs. This was our most expensive meal of the trip (coming in at £70), but still not unreasonable for the food we ate and the service we received. A 15-minute bus ride and back to the apartment and straight into bed for a well-deserved night’s sleep. We didn’t need to head to the airport until 6pm and so we had a final few hours to roam. After dropping our luggage off at the main office, we headed off for breakfast. We had been recommended to visit Cirkusz and this time the recommendation paid off. Great coffee, great breakfast options and excellent value for money (no pictures, we were too busy eating!). At the boy's request, we jumped onto the tram and off to another tourist hotspot the Great Market Hall. More beautiful architecture, but just too busy to enjoy the stalls and surroundings. Another tram ride and back over to Buda this time to walk around the lower half and in a search for coffee we found the most delightful children's bookshop called Pagony . We spent an hour and a half in here! A café with coffee and cakes to keep us happy and a shop where the boy could explore and us not worry about anything being broken! I am forever grateful that we don’t speak Hungarian as I would have spent all of our money in here. We did grab a couple of card games and also some notebooks for the boy, because you always need stationary in your life. And that was pretty much our time done. Instead of paying €25 for an airport transfer we decided to jump on the bus. This is not included in the Budapest Card, but it cost us €7 for the three of us and took 45 mins. We didn’t really plan out our adventure so we have so much more to explore when we return next. Which we certainly will. Concerned about data usage? During our 4 days, I used 3GB of data. This included using maps to navigate the city, updating IG throughout the day, alongside the usual email and other Social checking. Budapest falls into the All You Can Eat data zone with Three and so there were no additional charges for using our phone overseas. I'd recommend grabbing a SIM if your network doesn't cover you abroad. For our 4 days in the city, we spent £300 for food, drink and a little bit of shopping for 2 adults and 1 child. Our flights and apartment cost £345 which I thought was a steal. *Three mobile loaned us an iPhone X for our trip which included 10GB of All You Can Eat data. **Budapest Info gifted us 72hours travel in the city in exchange for our honest review. Your Budapest card not only gets you travel, but entrance into the thermal baths and many museums around the city and we wouldn’t hesitate to purchase one on our return visit. ***We were gifted our meal at Budapest Makery with no requisite for a review.